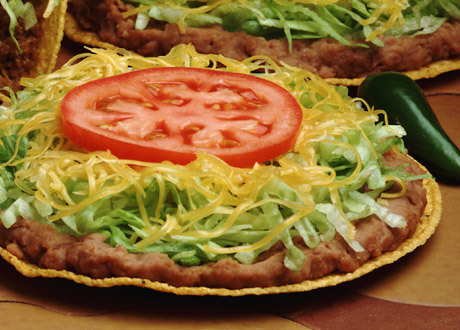 Every Taco Villa food item is made with only the freshest ingredients. 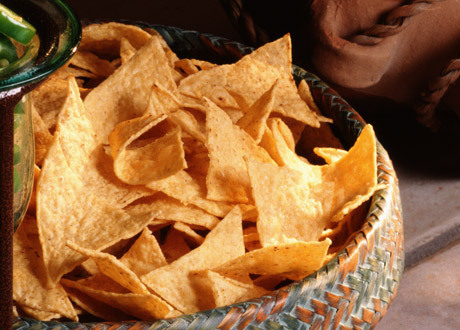 Garden-fresh vegetables, hot flavorful beef cooked throughout each day, pinto beans grown in high mountain areas, fresh made sauces and crisp tortilla chips – that’s just a few of the great tastes you’ll love at Taco Villa. 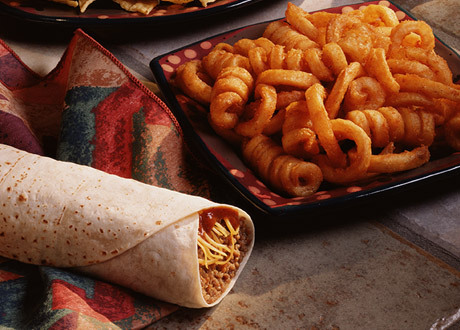 Taco Villa’s signature Crispy Taco is made with select beef that’s fresh, never frozen, and cooked several times each day. 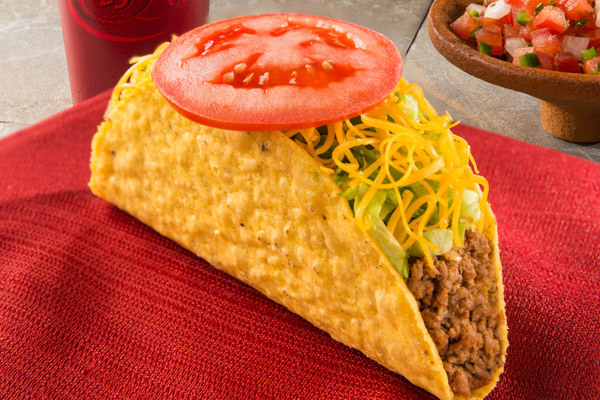 It’s seasoned with just the right spices to make the best taco you’ve ever tasted. 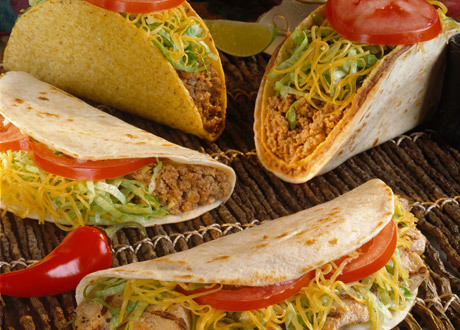 And all Taco Villa Tacos are made with the freshest ingredients and tender loving care. You’ll love them! 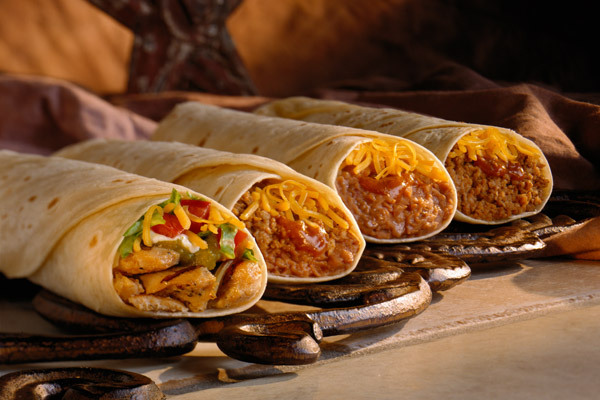 Taco Villa’s burritos are overflowing with perfectly-seasoned pinto beans, zesty cheddar cheese, and beef, chicken, or steak fajitas and served in a warm, flour tortilla. 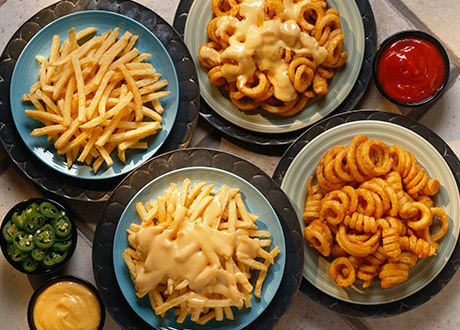 Pick your favorite and enjoy! Did someone say “fresh”? 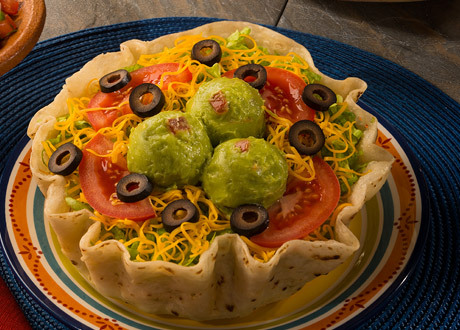 That’s how every Taco Villa Salad is made – just the way you love it with tantalizing vegetables such as olives, lettuce, freshly-prepared guacamole, and tomatoes plus shredded cheese in a delicious flour tortilla bowl. 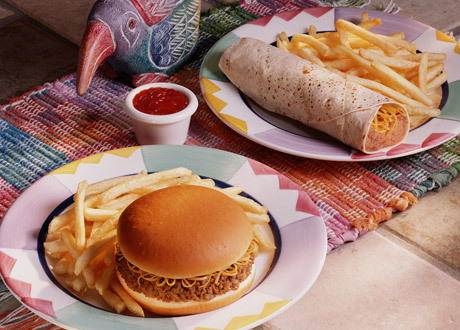 Add chicken or Taco Villa beef to make it your own! 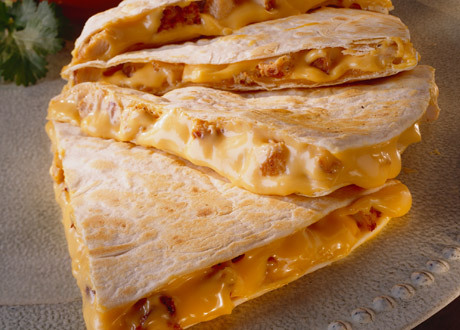 Nothing beats a hot flour tortilla with melted cheddar cheese and your choice of chicken or steak fajita. Share with a friend or indulge yourself. Mmmm! Got a sweet tooth? 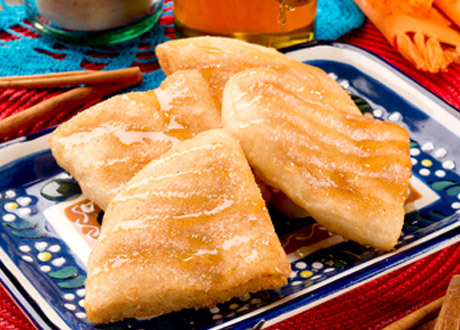 Try a hot, fresh Apple Burrito or an order of Sopapillas with honey! When it comes to saving, Taco Villa’s the place to be. Check out our great selection of Packs, Combo Meals and our popular Survival Kits to save money on meals for one or a large group! 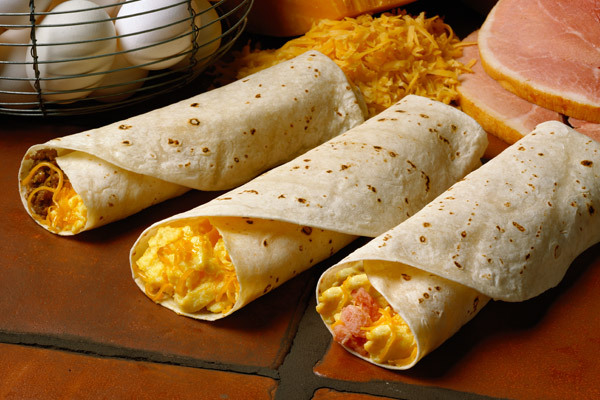 Taco Villa starts each day at select locations with a delicious Breakfast Menu that features fresh-cooked egg, warm tortilla, and tasty bacon, ham, sausage and more. 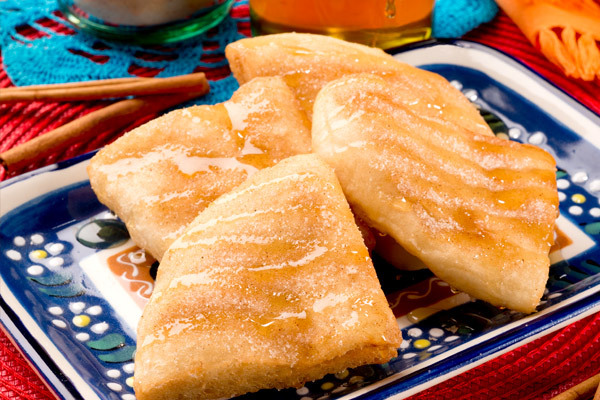 Check out our locations page to find out where to get your next Taco Villa breakfast! 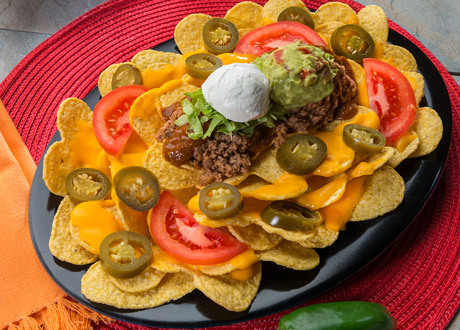 Comes with Egg, Flour Tortilla, Grated Cheese, Red (Mild) or Green (Spicy) Sauce, and your choice of Potato, Sausage, Ham, Chorizo, Bacon, or Taco Meat. 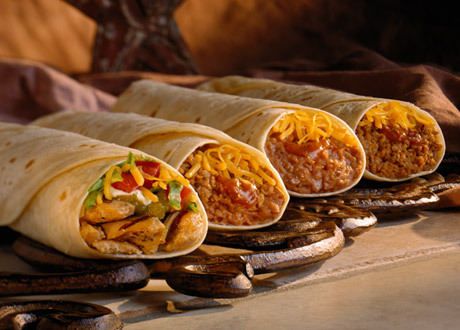 Taco Villa’s got cold refreshing beverages that are perfect for every meal. Pick your favorite flavor and cool off. Plus, Taco Villa uses only reverse osmosis water in all of its non-carbonated beverages for a clean, fresh taste. Enjoy! Coke, Diet Coke, Dr. Pepper, Diet Dr. Pepper, Sprite, Orange, Lemonade, Fresh-Brewed Tea, Peach Tea, Fanta Red, Root Beer, Free shots of Cherry or Vanilla Syrup. 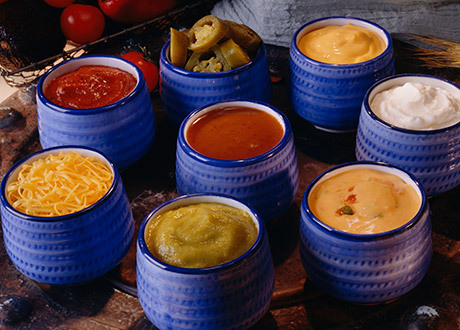 Free refills for Dine-In orders.